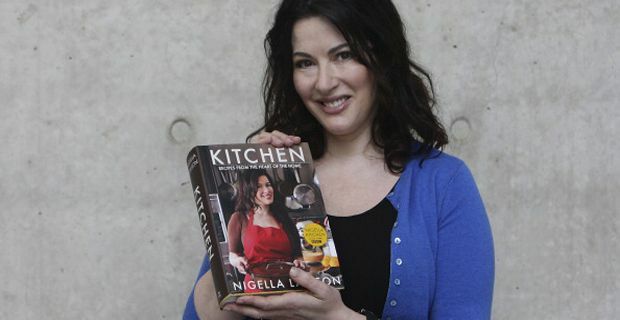 Nigella Lawson was apparently assaulted by her husband Charles Saatchi at a Mayfair restaurant last week. In a quite extraordinary display of raw aggression, Saatchi allegedly grabbed his wife by the throat and twisted her nose in a disturbingly public insight into domestic violence. One has to wonder – if that is how he behaves in public, how must he behave in private? Police are investigating the incident despite no formal complaint being filed by Ms Lawson, as a photographer captured shocking photos of the assault that leave little to the imagination. There was then a bizarre attempt at reconciliation as Lawson leant across the table to kiss her foaming husband on the cheek. Saatchi has a lot to answer for, not least his corruption of the art world by raising the profile of sub standard artists like Tracey Emin and the YBAs. It was the archetypal ad-man approach to the creative arts and skewed the art market and the perception of art in Britain quite spectacularly. He is no stranger to the power of public image, which in itself speaks volumes about his loss of control. In many ways, this is none of our business. And yet the hidden world of domestic violence must be everyone’s business, otherwise it simply stays in the shadows. And for Saatchi, whose life is dedicated to appearance management, and Lawson who has yet to meet a camera she didn’t want to wheel out contrived, flirtatious simpering in front of, privacy can hardly be our concern. If a successful ‘celebrity’ has to be a poster child for exposing domestic abuse, then so be it.